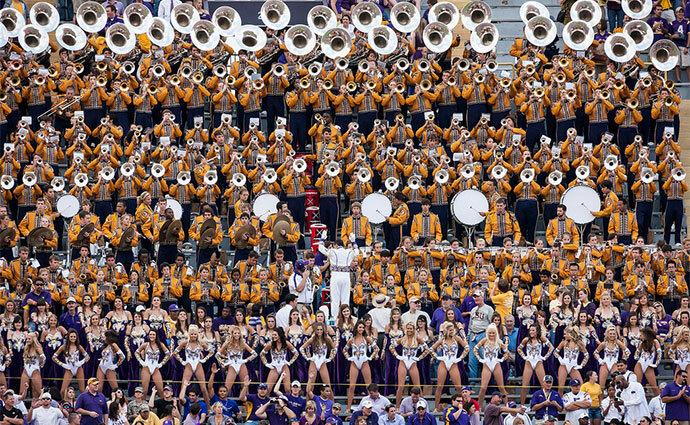 A big SEC match-up featuring both the LSU band and Gator Band will not happen, as Hurricane Matthew has forced LSU and Florida to cancel Saturday’s game in Gainesville. The LSU band made the call last night to not travel and now the game won't happen. The hurricane is causing massive evacuations along the Eastern seaboard, and the SEC made the call on Thursday afternoon to cancel the game. “We had a very productive phone call today with a great spirit of cooperation between the universities’ presidents and athletics directors and it became clear that the University of Florida could neither host nor travel to a game this weekend considering the circumstances,” said SEC Commissioner Greg Sankey. “The developments of the hurricane in the last 24 hours, the projected magnitude of its impact and the unknown aftermath of this storm have resulted in this decision to seek another date to play the LSU-Florida game. The two schools do not have a common open date available on the schedule.